It was a balmy afternoon in Bowers, Pa. on Saturday, Sept. 7, but that didn&apos;t keep things from really heating up at the 2013 Chile Pepper Food Festival. 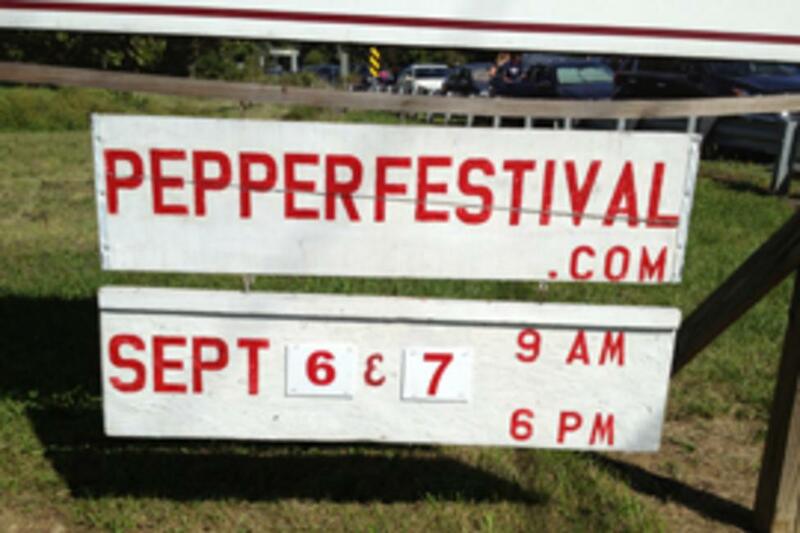 The largest festival of its kind in the United States, the Chile Pepper Food Festival is an annual event held in the William Delong Memorial Park in Bowers, PA, during the Friday and Saturday after Labor Day. The festival runs from 9 a.m. to 6 p.m. each day, and with its multitude of cuisine options, activities, and sights to indulge in, there is something for everyone to enjoy. Having never been to the festival before, I wasn&apos;t sure what to expect, but I knew it would be an interesting experience. I contacted my good friend Charlie, a chile pepper enthusiast, and asked him if he&apos;d be interested in accompanying me to the festival. His response was a resounding "yes," and on Saturday, we hopped in a car and headed off to Bowers. Passing through the entrance of the festival was a pleasant assault on the senses, as we were hit with a wave of mingling smells that permeated the air. With so much to see right out of the gate, we were overwhelmed by the choice of options. There was a winding trail of vendors as far as the eye could see, with a plethora of pepper-based foods, including condiments, pickles, and even ghost pepper ice cream. We decided to follow the trail, making frequent stops along the way to sample the many delicious foods on offer. 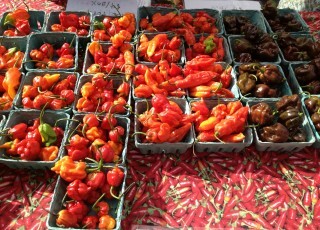 The first thing I tried was a dessert hot sauce made from scorpion pepper and berries which was out of this world. Charlie opted for a pulled pork sandwich with habanero relish, which he scarfed down quickly. As we continued to investigate the various stands and helped ourselves to the seemingly-endless varieties of salsa and hot sauce, event organizers geared up for the 17th Annual Jalapeño Eating Contest. A large crowd was already building near the stage and further back, under a pavilion, where festival-goers could sit and enjoy the entertainment while chowing down on some pickled peppers or a kickin’ bowl of chili. As the competition commenced, I could hear the cheering of the spectators as I examined a jar of pepper jelly. Those with a scoville-impaired palate, fret not---there were plenty of not-so-hot foods and beverages available, including hot dogs, hamburgers and soup. There was even fried cheese on a stick, which my friend and I split for $5. When I needed a little break from the heat, we stopped at a pretzel stand for some water and lemonade. Later on, we spotted an old fashioned soda wagon stationed near the end of the trail, dispensing raspberry cream soda from valves attached to mounted barrels. It was a quaint addition to the festival. As we continued on our way, I noticed signs for a wagon ride to Meadowview Farms for a chile pepper field excursion, a unique opportunity for pepper-picking from an impressive collection of pepper plants. Unfortunately, we didn&apos;t get a chance to take advantage of this festival feature, but there’s always next year. On our way out, I stopped at the Grumpy’s Bar-B-Que Roadhouse stand for a spicy jambalaya that really hit the spot. The Chile Pepper Food Festival is an enjoyable outing for families and foodies alike, and it&apos;s easy to see why its popularity has endured. I&apos;ll be going back next year for sure.